GVK EMRI has published notification for Recruitment Various Posts. There are vacant seats are available. Application mode is offline. Interested candidate can attend Walk-in-interview with required documents at the given address at a sharp time. For more details related to GVK EMRI check official website of it. You can check more details like educational qualification, selection process & how to apply in below given official notification. 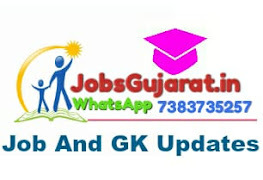 Educational Qualification & Other Details: Please Read GVK EMRI Recruitment 2019 Official Advertisement.